It’s October and we are all about the color orange. How can you not love it when you see it everywhere at this time of year?!? *If you are a room mom or if you’re in charge of putting treats together, you’ll love these FREE printable Halloween stickers from Petite Lemon. 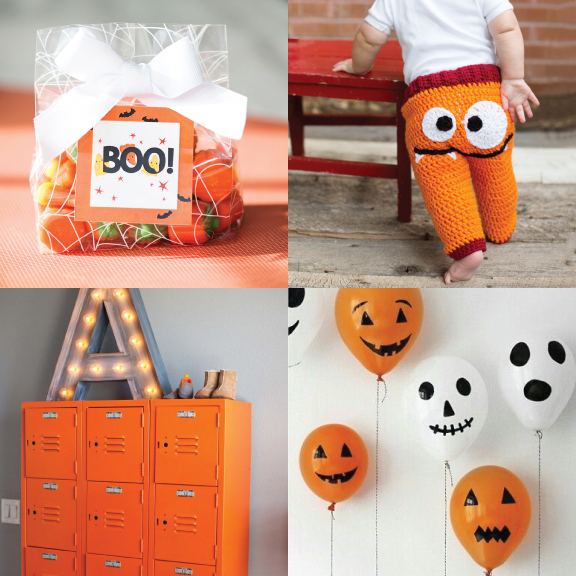 Use your printer to print them off on a sticker sheet and use them to decorate your spooky treats! Download the free stickers here. It’s so much fun to have the little ones home during the summer. Their drive for adventure is inspiring (and oh so tiring)!!! Here’s a fun and easy DIY project (and when I say easy, I really mean easy) to help keep their imaginative minds thriving. This project can be made in about a 1/2 hour with supplies you probably already have at home. 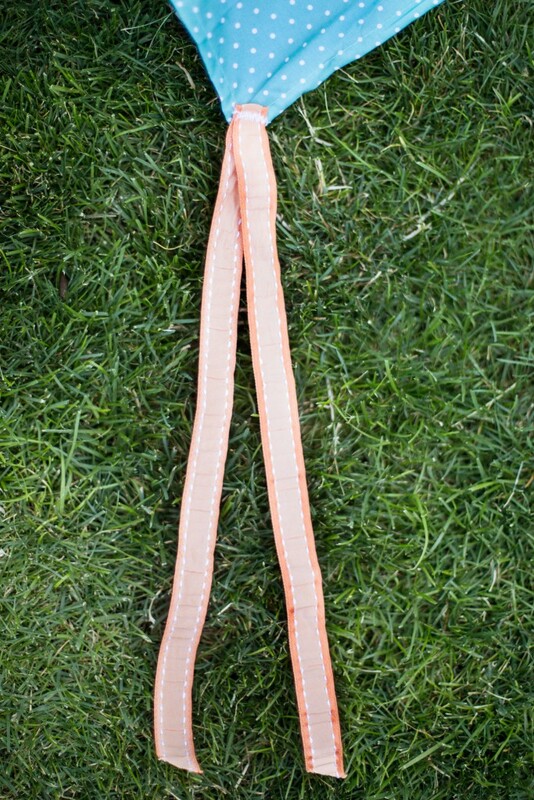 Step 1: Sew a piece of ribbon to each corner of the street (just make sure there is enough to tie a bow). 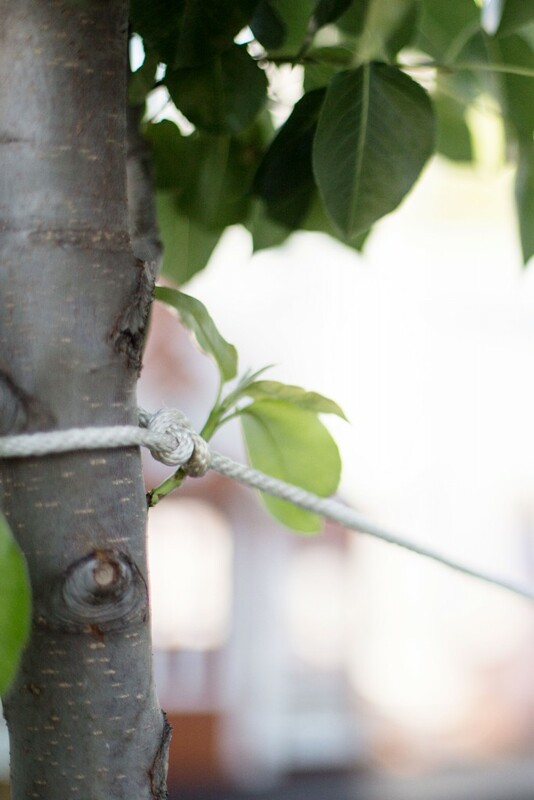 Step 2: Tie a piece of rope to two trees and drape sheet over the rope. 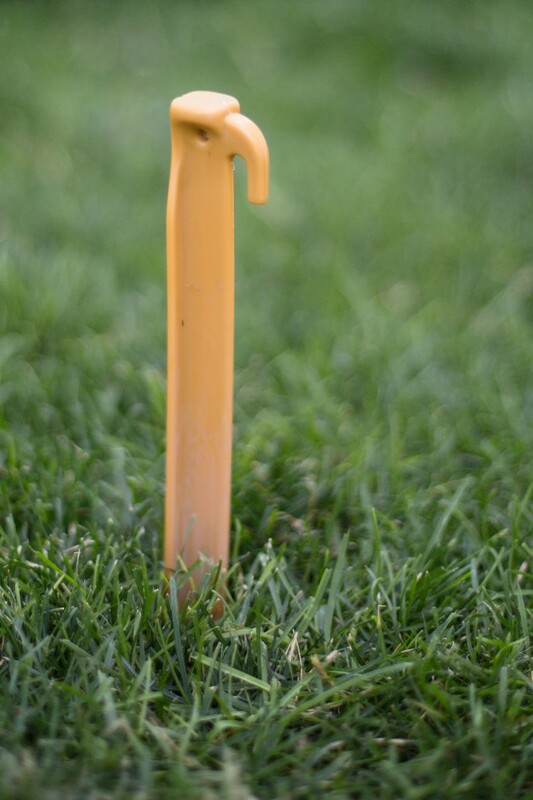 Step 3: Determine where the tent stakes need to go in the ground (depending on where the corners of the sheet fall on the ground), and put them in the ground. Step 4: Tie the ribbon on each corner of the sheet to the tent stake. 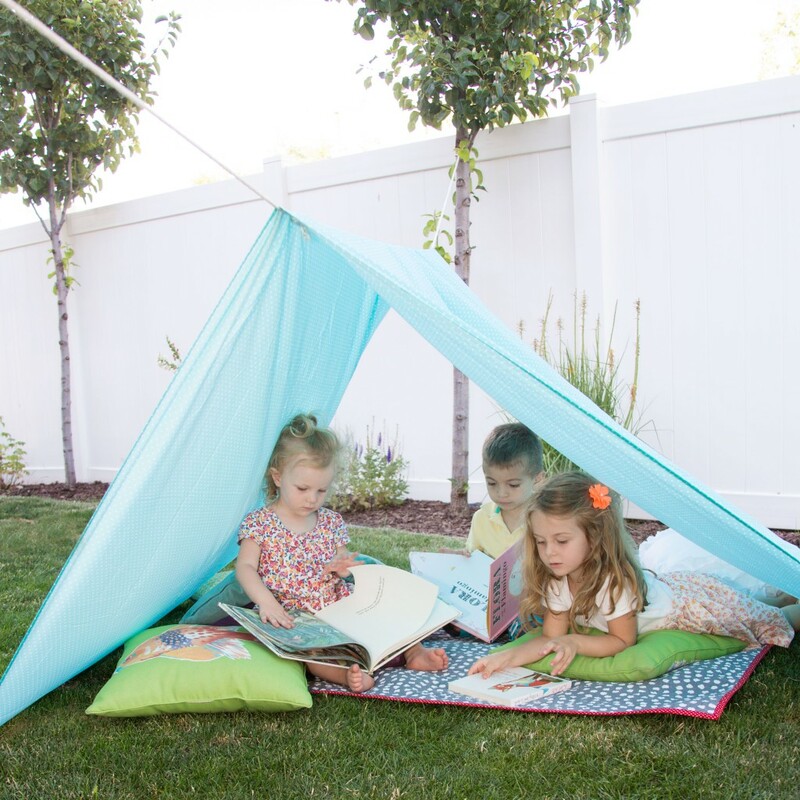 Step 5: Add some pillows, blankets, books, and anything else your kids love into the tent. We all have a stack of them sitting in our home – t-shirts! Lots and lots of t-shirts. You know those t-shirts that are too short, have a stain, or you hate to toss because they are a favorite for one reason or another. Instead of throwing them out, repurpose them into a new outfit for your little ones. First, cut your t-shirt. 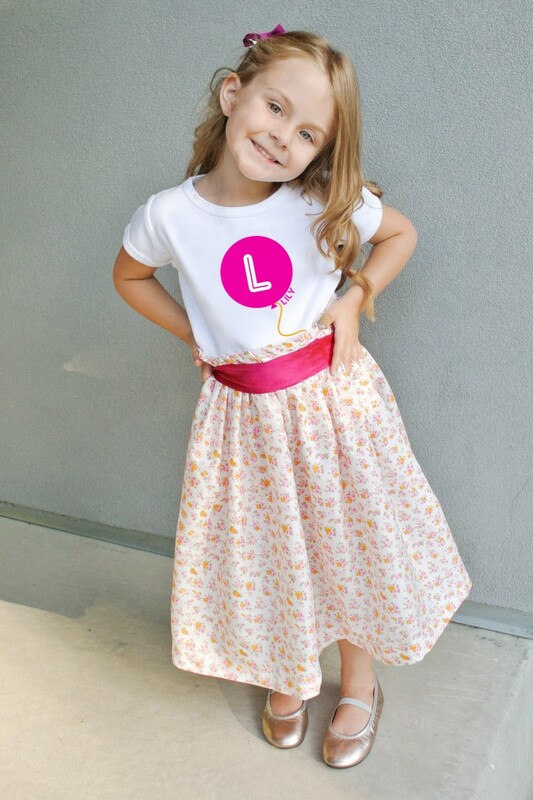 It’s best to put the t-shirt on your child and determine where you want the skirt to hang. Add 1″ and cut the shirt. I cut about 4″ off my tee. There is no right or wrong place to cut shirt. 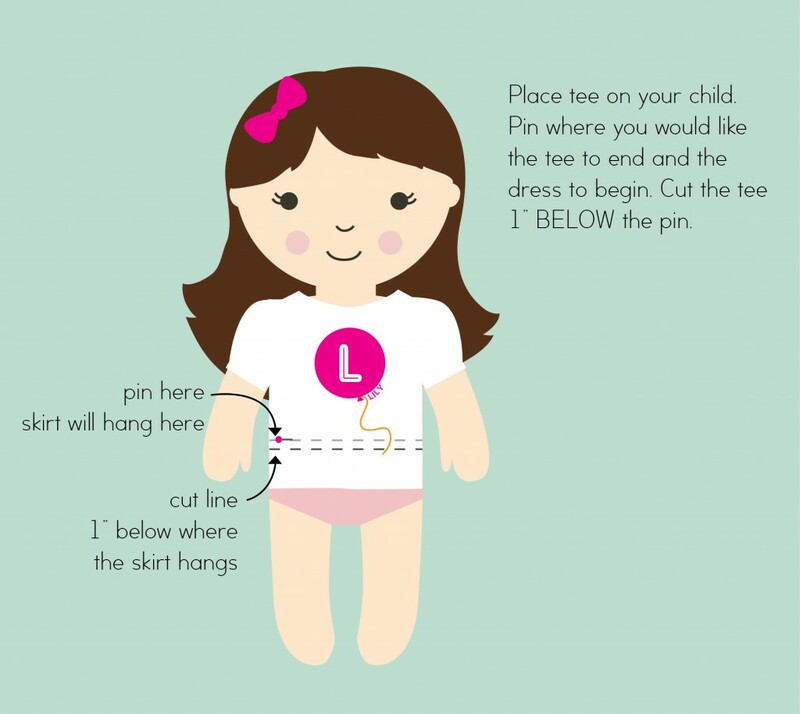 Next, put the cut shirt back on your child and measure from the bottom of the t-shirt to where you want the skirt to hang. Add 3″. 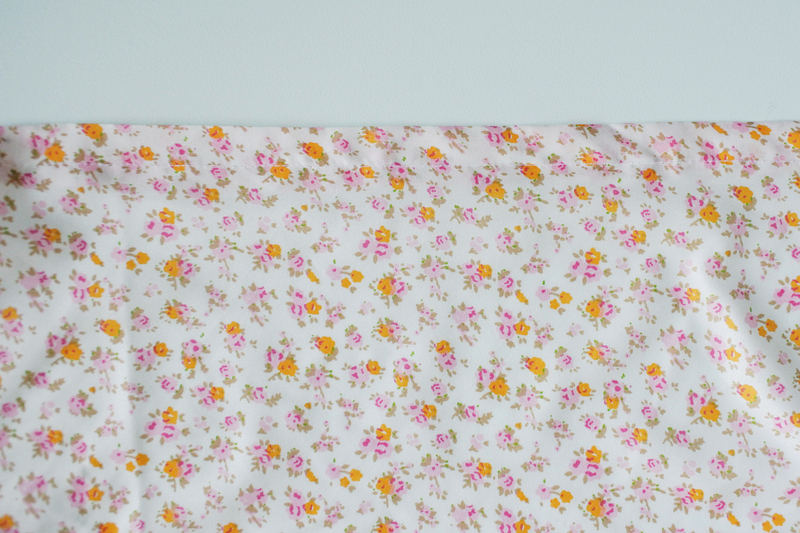 I wanted mine to hang about 19″ below the tee, so I cut my fabric at 22″. I left mine the same width as the fabric and cut two rectangles of that same size. 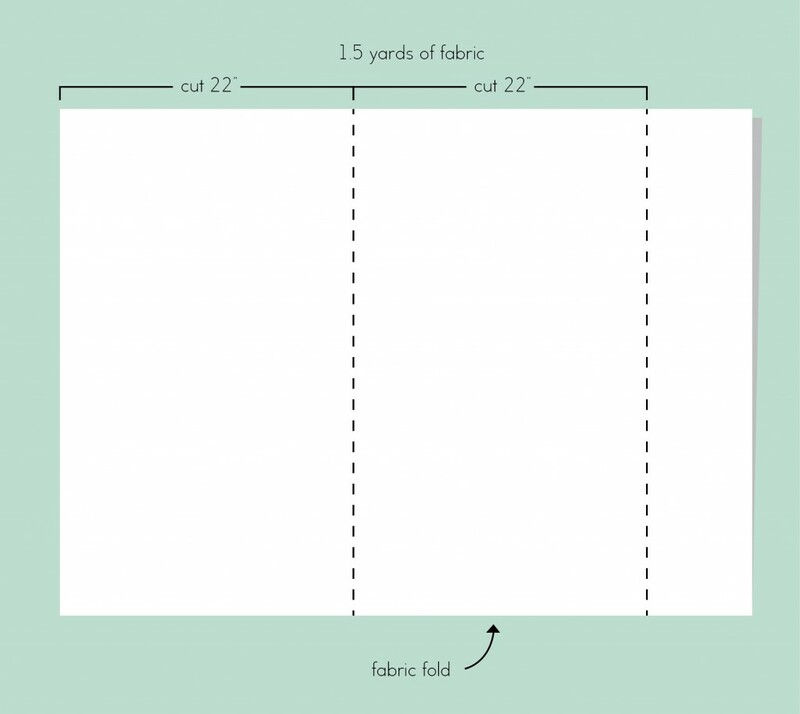 Sew the two rectangles together on the 22″ side. 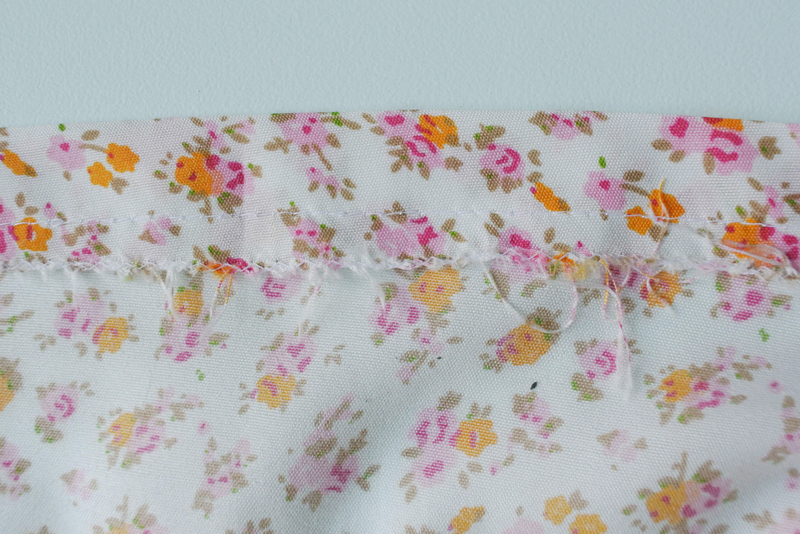 Sew them right sides together so you make a tube, then press the seams open. Next, hem the bottom of the skirt. 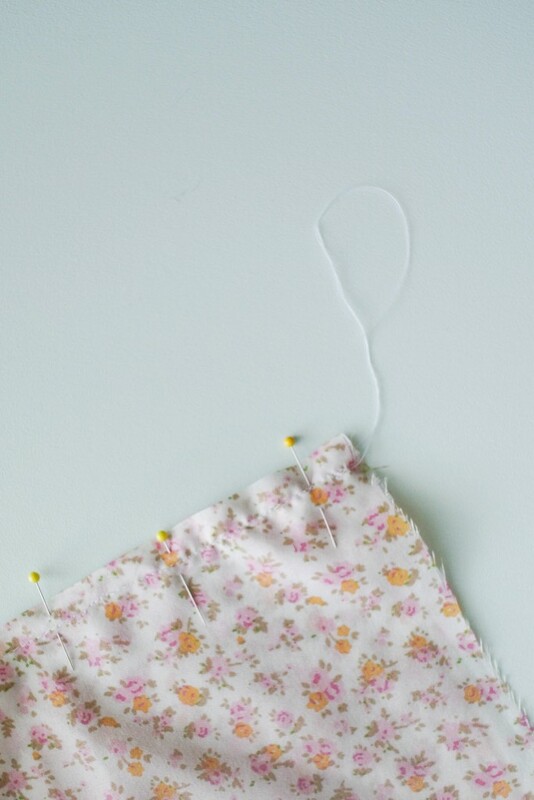 Turn the skirt section inside out, then fold over the top of the skirt section 1″, and press it in place. Add another 1″ and press. Then sew into place. Next, we’ll finish the raw edge on the top. A serger machine works best if you have one, otherwise fold over the top 1″, press, and sew. I used a zigzag stitch. 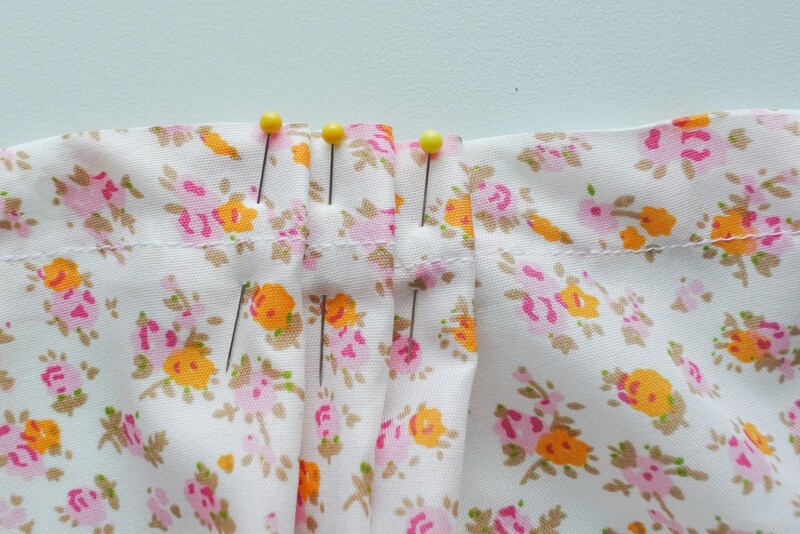 Pin the pleats around the entire skirt. 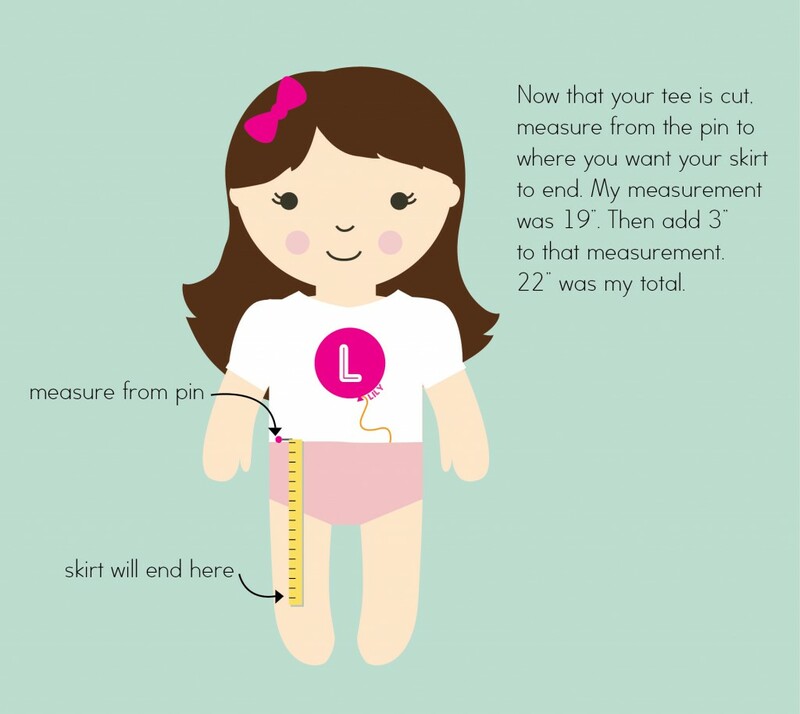 Measure along the shirt as you are pinning. I just eyeballed it, and did my best. You want the finished circle to fit about with the width of the t-shirt. Pin the t-shirt to the pleated skirt. The t-shirt will sit down on the top of the pleats about 1″. Sew on the top of the pleats to sew it all together. And…ta dah! You have finished sewing the dress. Add a ribbon to tie around waist of the skirt. This will cinch it all together and give it a more fitted look. The dress looks cute both ways. Time flies. 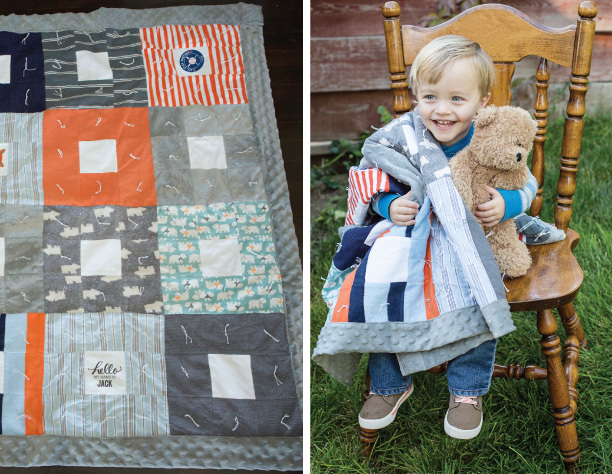 And when you have kids, it’s like our fearless leader Paula says, “It’s supersonic!” That’s why we wanted to offer a DIY quilt project to help you hold onto memories of your little one’s favorite baby clothes, like personalized onesies, big sister shirts, big brother shirts, or 1st birthday shirts. These quilts will become cherished keepsakes that will be used for years. Below are the supplies you’ll need, as well as the instructions. Wash and dry all your fabrics and baby clothes. 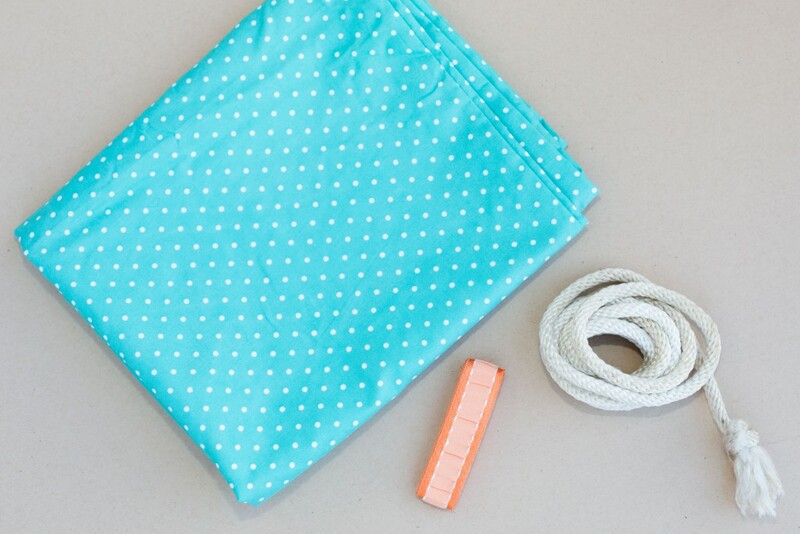 Iron any baby clothes and fabric pieces if necessary to make it easier to work with. Determine the size you want for your quilt squares and be sure to add a ¼” for each square for a seam allowance. Use a cutting mat and scissors to cut baby clothes into squares. 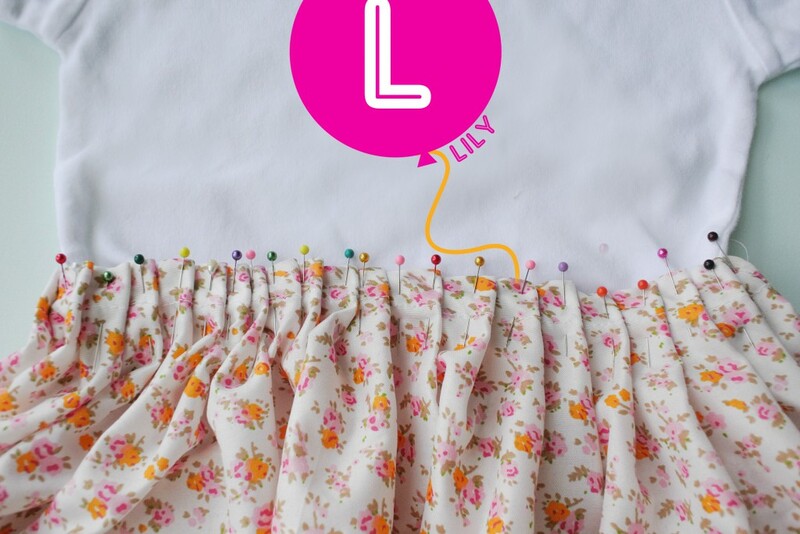 Tip: When cutting up the baby clothes, be sure to incorporate the small ruffles, lace, icons, buttons, etc. to help remind of your baby in these clothes. It makes a great addition to the final quilt. Be sure to fasten buttons or snaps down securely. 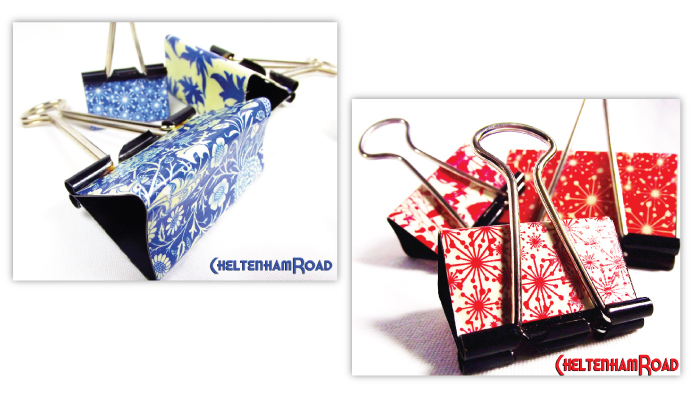 Trim fusible web to the size of your quilt squares and iron fusible web to the back of your squares (see fusible web packaging for additional instructions). Lay quilt squares out and determine what pattern you want then sew the pieces together in rows first and then sew the rows together to make quilt. Tip: Use a sticky note or piece of tape to number the pieces and rows. This will help you keep everything in order as you sew. Lay the back piece of fabric out (right side down) and lay the sewn quilt squares on top (right side up). Trim fabric to size for the quilt leaving enough fabric around the edges to allow you to turn and finish the quilt (about 4 – 5”). Pin quilt to the back piece of fabric. 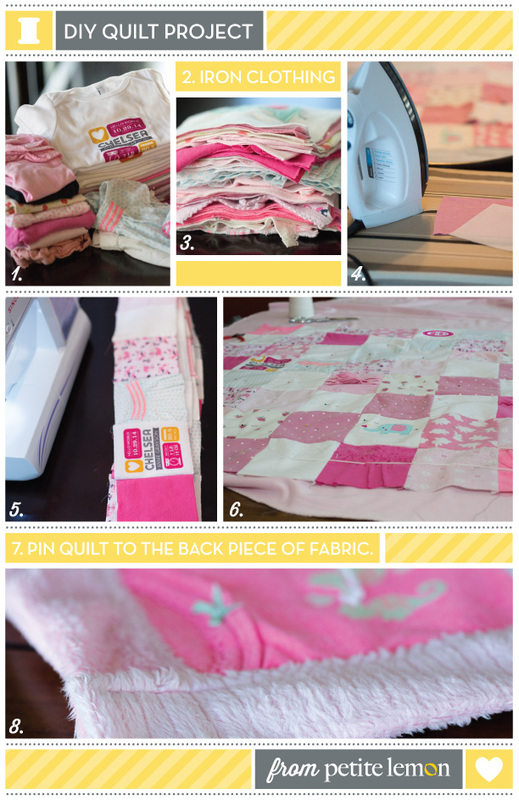 Use a needle and yarn to tie quilt. Tip: It’s easier to tie the quilt in the center of each square versus the corners of the squares. 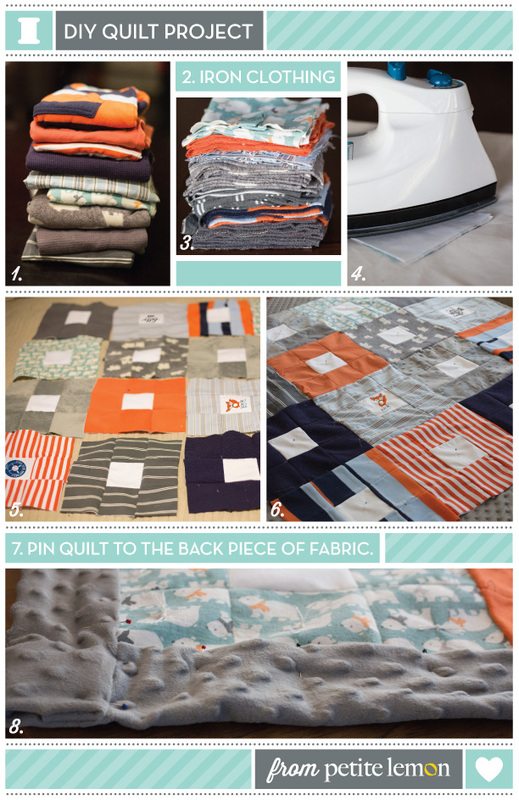 Fold fabric around the edge of the quilt, pin in place, and sew around edges to finish the quilt. 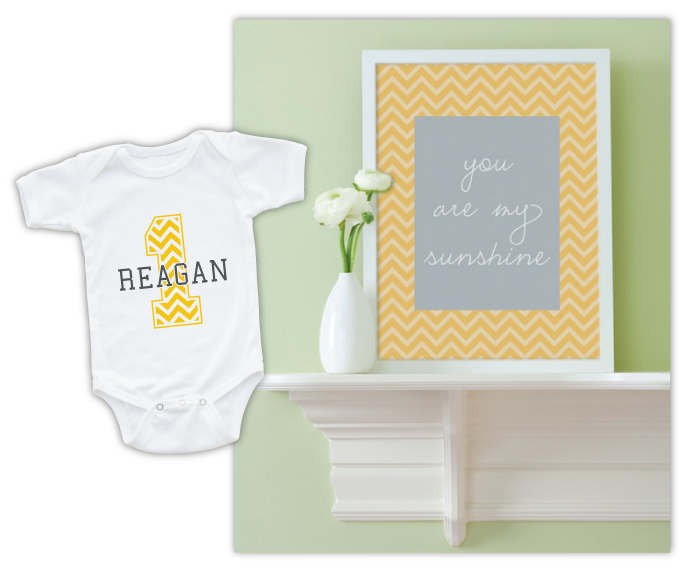 Giving personalized baby gifts is a really thoughtful gesture and if you’re crafty, making something is also special, so why not combine the two to create a custom gift set? 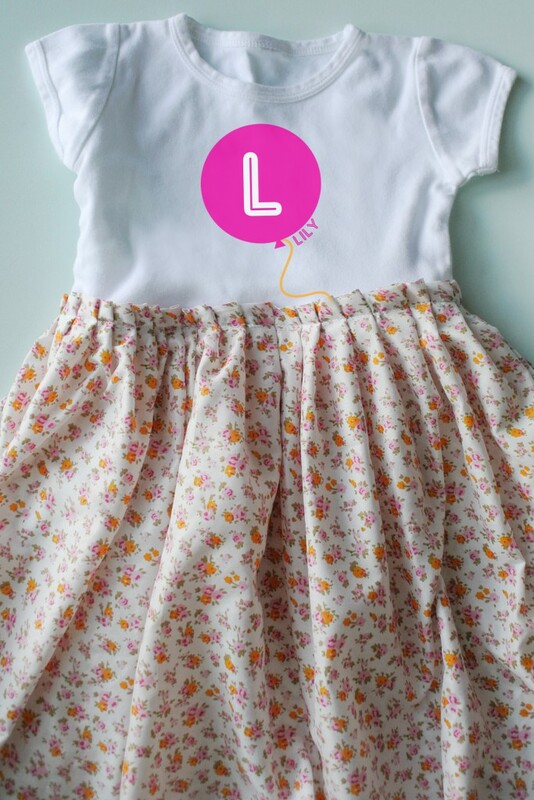 We have some DIY projects on our FUN page perfect for combining with personalized onesies, big sister shirts, big brother shirts, or 1st birthday shirts. Other DIYs and personalized baby gifts that work well together? The Chevron Nursery Wall Art DIY and Chic Chevron birthday tee or a growth chart and month to month onesie DIY to record baby’s growth practically from day one. We hope these personalized baby gifts and DIYs inspired you to create some super sweet custom sets for upcoming baby showers or birthdays. Whether it’s measuring our kids with personalized growth charts or using DIY onesies to mark each month of our new baby’s life, we love to record as many milestones as we can. 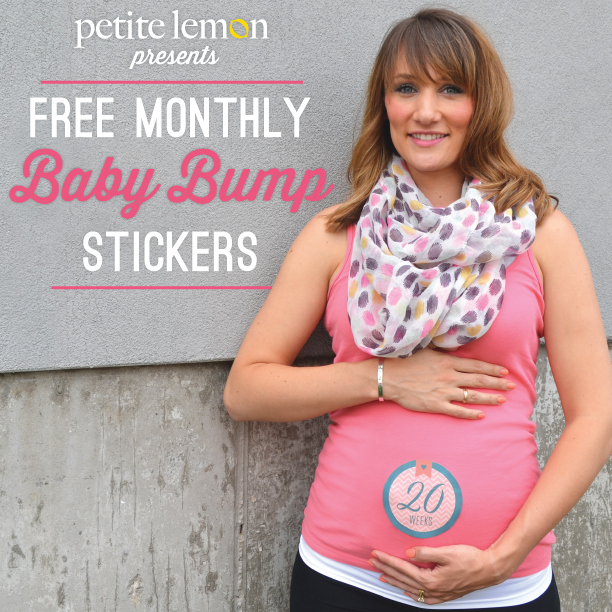 That’s why we’ve created these adorable Belly Bump Stickers so you can start measuring your pregnancy from the beginning and take photos along the way. Our free PDF download includes all three color sets — pink, blue, and yellow! As well as our printing instructions sheet. Print these out for yourself or bundle them with a gift card for a personalized growth chart or onesie for a super sweet customized gift set to give to a friend or family member as soon as they announce a wee one is on the way. While we do design personalized onesies, big sister shirts, big brother shirts, and 1birthday shirts, we don’t exactly consider ourselves fashion designers. But that doesn’t mean we don’t swoon over the latest styles and get inspired by the use of color, cut, etc. Which is why earlier this year we wrote two blog posts on trends from Fashion Week and chose big sister shirts (here) and big brother shirts (see here) whose designs were similar to those seasonal styles. We had so much fun with it and got such great response from our readers that we decided to do a similar post inspired by the Met Gala, another major highlight in the world of fashion. All images are from Vogue.com. 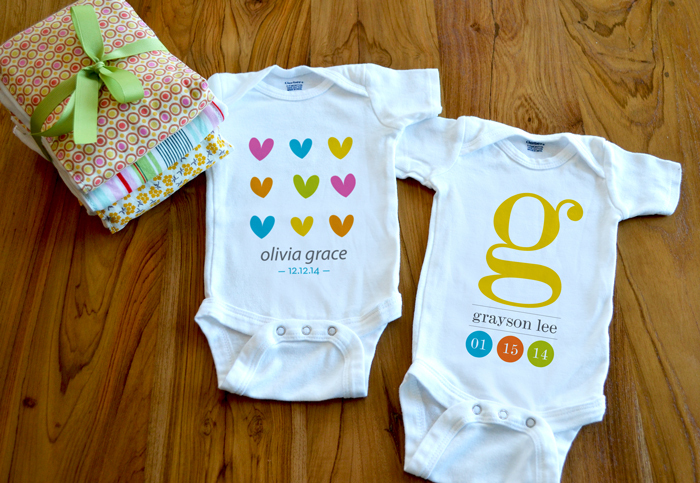 Do you ever look to fashion trends or icons when buying personalized baby gifts? 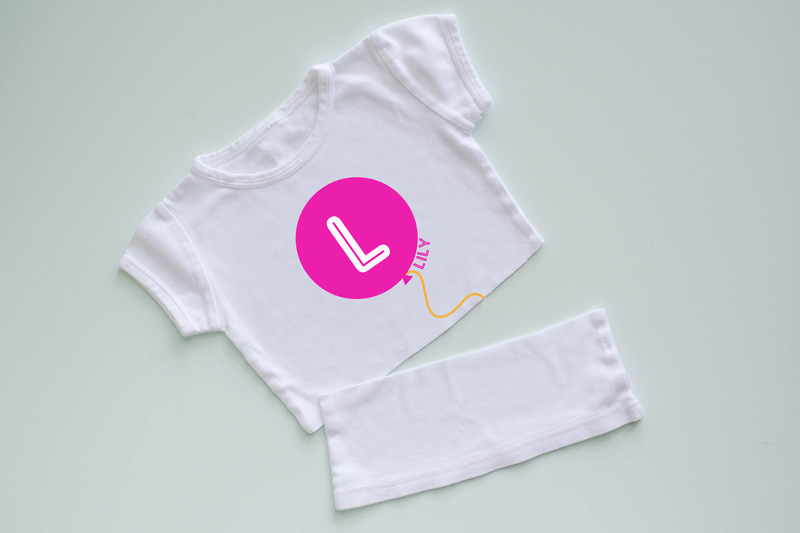 As you know, we often create fun freebies in addition to our line of personalized baby gifts, 1st birthday shirts,big sister shirts, and big brother shirtsand have stored the newest ones on our Fun page. Over the years we’ve been asked about different projects, like the Month-by-Month Printable Onesies and the Burp Cloths How-To, which had been archived. Well now we’ve updated the Fun page to showcase all of the various freebies we’ve created so you can take advantage of all our DIY goodies, games, and more whenever you want. Celebrating a kiddo’s birthday? 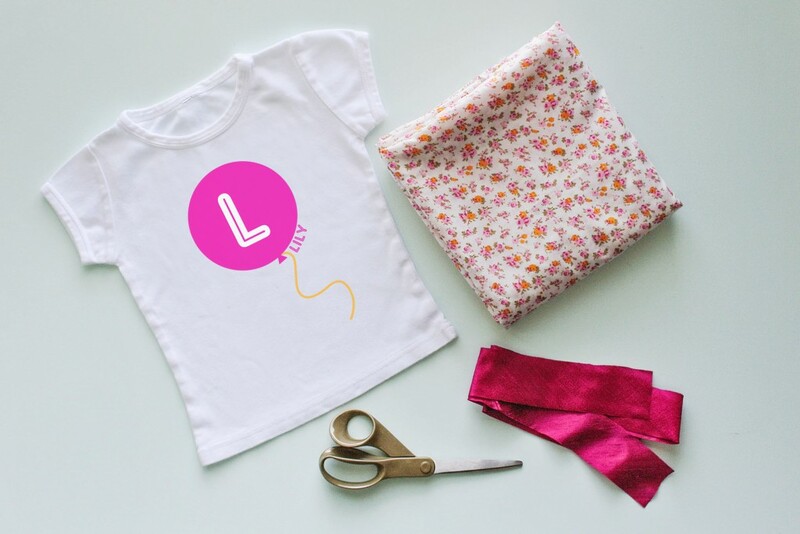 The Fun page has several projects to help make a birthday party really festive, from hats to interviews to printable infographics, all inspired by our collection of1st Birthday Shirts. 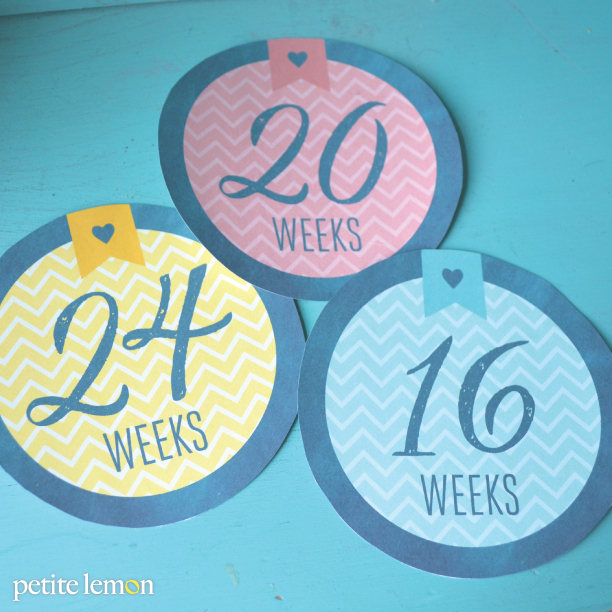 Planning a baby shower or just want a fun project to do with the kids? 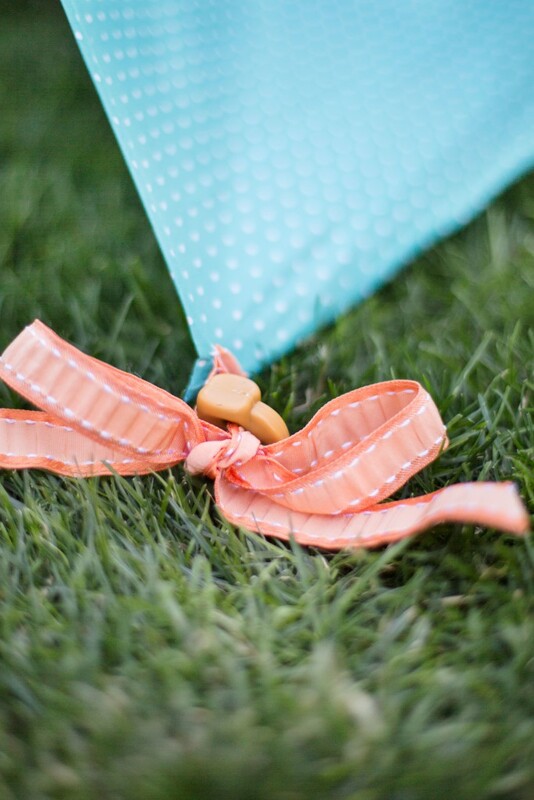 You can’t go wrong with the DIY Flag Pennant, Crayon Bag Tutorial, or Easy No Sew Tutu. 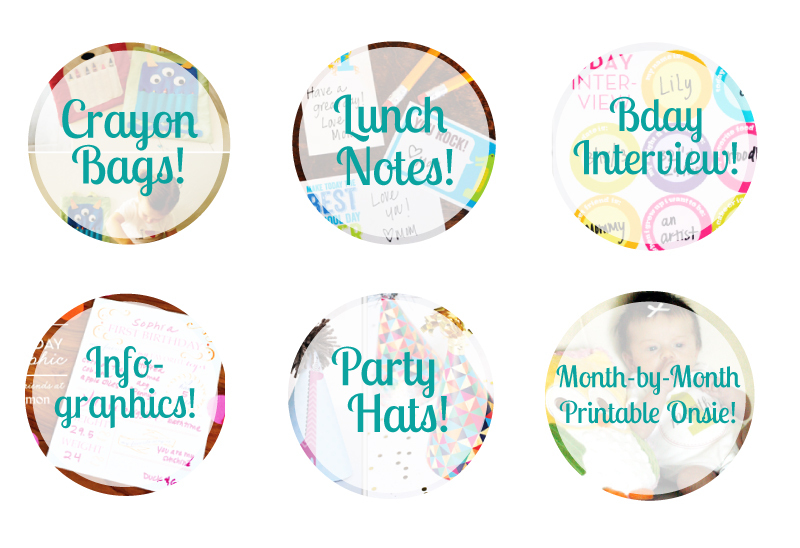 The DIYs for moms, like lunch notes and planning forms, make treasured keepsakes, because we know how fast time flies and wee ones change and grow. That’s one of the main reasons we love creating personalized growth charts, 1st birthday shirts, and big brother shirts, as well as freebies. Check out our new and improved Fun page and let us know what you think! How-To Hang Personalized Growth Charts: Use Binder Clips! 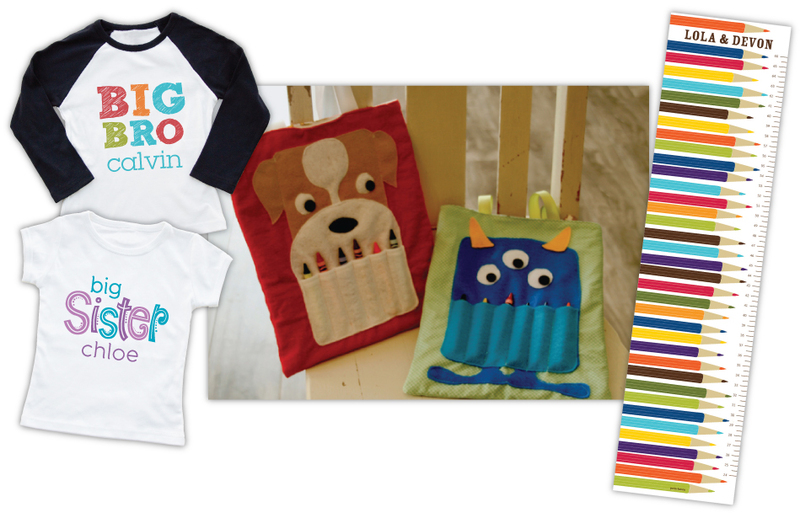 While we love being creative when designing big brother shirts, big sister shirts, 1st birthday shirts and all of the products in our line of personalized baby gifts, we also enjoy coming up with artistic DIYs and interesting ways to hang our personalized growth charts. So when we came across an adorable DIY for decorative binder clips on Cheltenham Road blog, we thought it would be a really cool way to hang a personalized growth chart. Other ways to dress up a binder clip? Glue on glitter, silk flowers, rhinestones, mini cars, and/or stars. 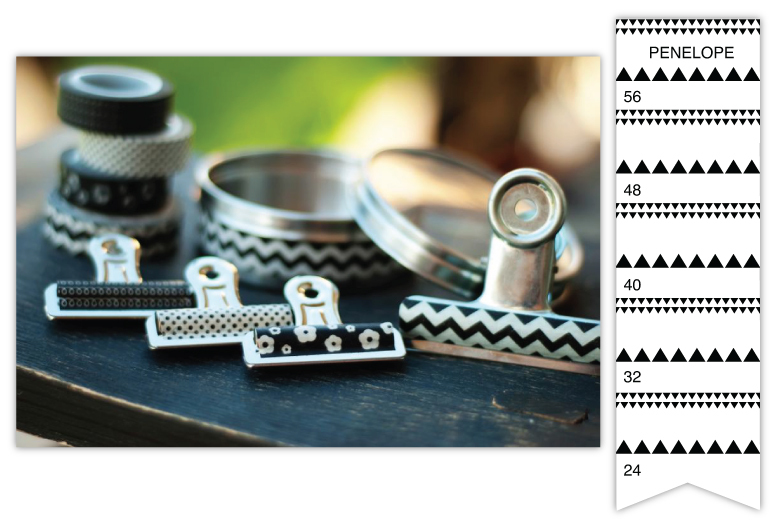 Use your personalized growth chart’s design as inspiration! Our fab Creative Director Hillary is at it again, creating a fun freebie for all you parents to do with your kids. Half of the country is under snow and the other half seems to be having a heat wave, but everyone can experience a little winter wonderland with these DIY snow globes. 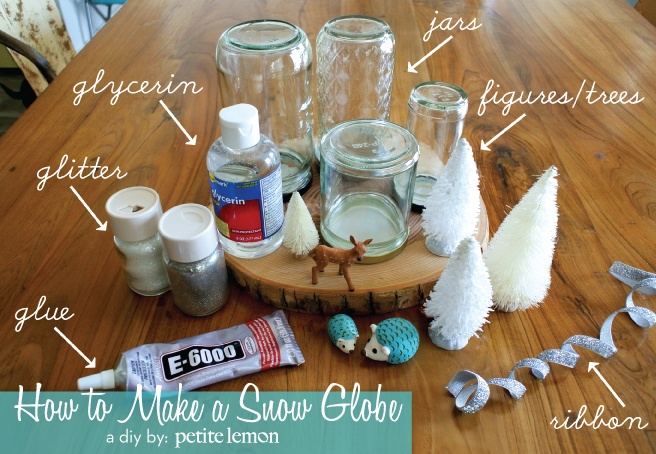 Here’s what you’ll need and the step-by-step instructions to create your own homemade snow globes. 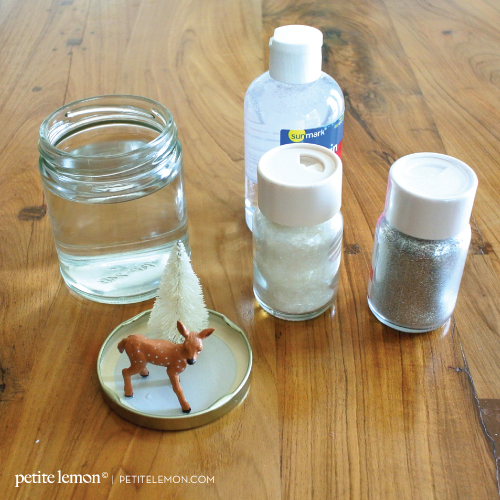 – After the figurines have dried, gather your glitter, glycerin and distilled water. 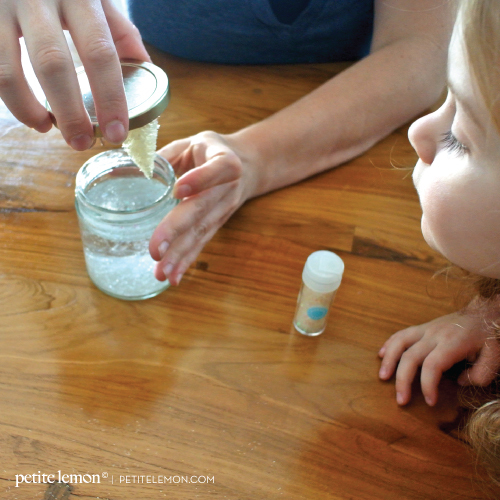 Fill up the jar with water and add a drop or two of glycerin — depending on the size of the jar. The glycerin helps “snow” fall down more slowly. 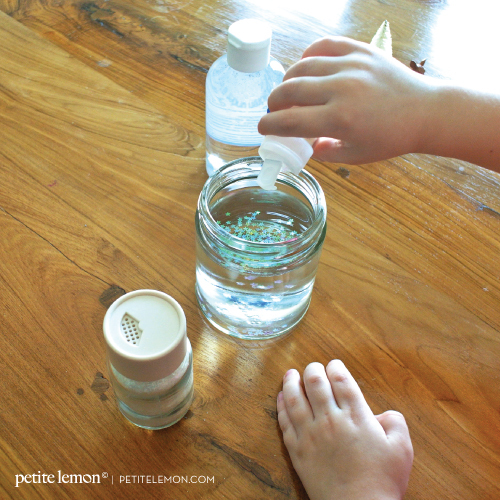 We checked the water level by gently placing our lid back on the jar. Add more water or dump some water out if needed. You want to avoid having too much air when you seal it up. – Add the glitter. Use a good amount. You can never have too much glitter, right? – Put a line of glue around the rim of the jar. Now screw the lid with the figure on to the jar. Make sure it’s tight. Let the glue dry — give it a couple hours or let it dry overnight again. Then we added another bead of glue around the lip of the lid when we turned it over, just to make sure it doesn’t leak at all. – If you want to decorate it further, you can now add ribbon around the lid.